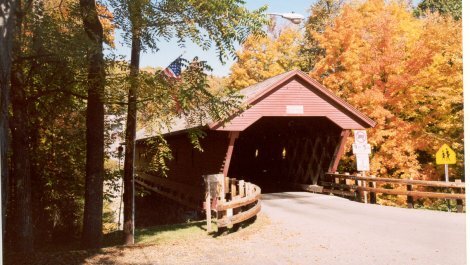 Hours Open to public, 24/7. 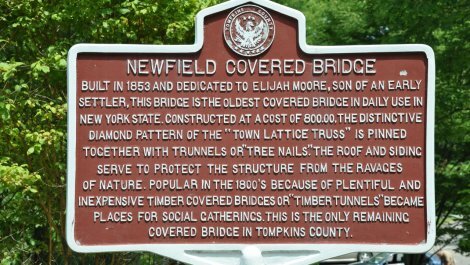 Built in 1853, at the cost of $800, this 115' single span structure incorporates the Town lattice truss designed, with added laminated arches. 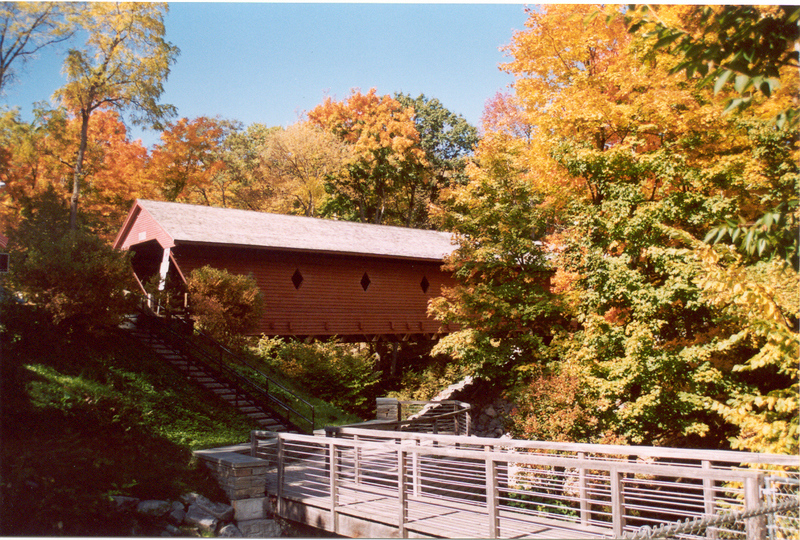 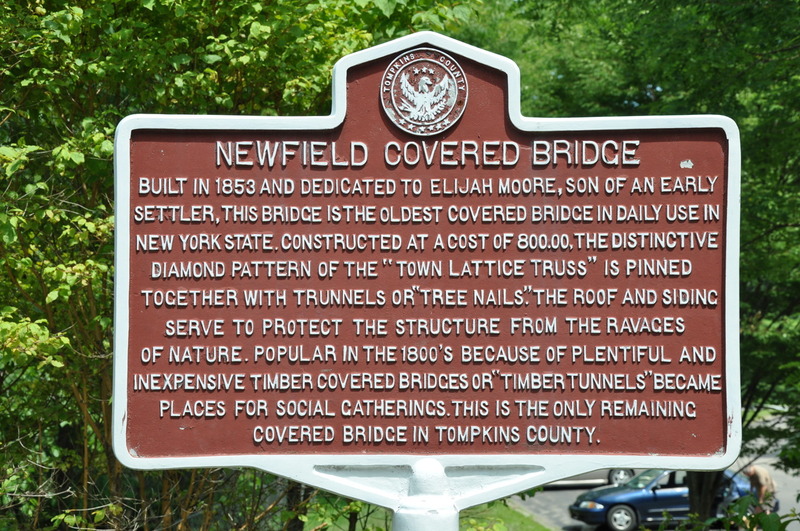 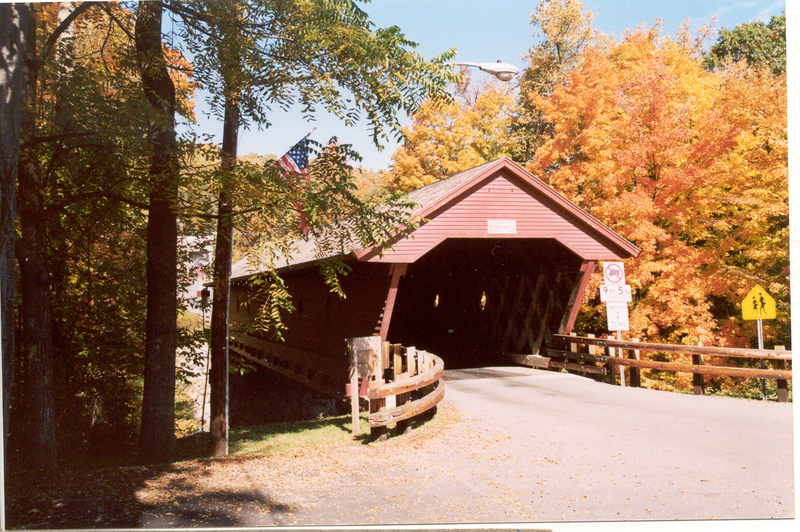 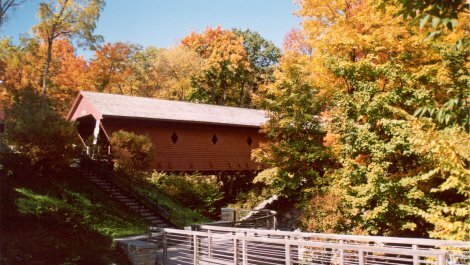 It is one of three covered bridges with horizontal siding that remain in New York. 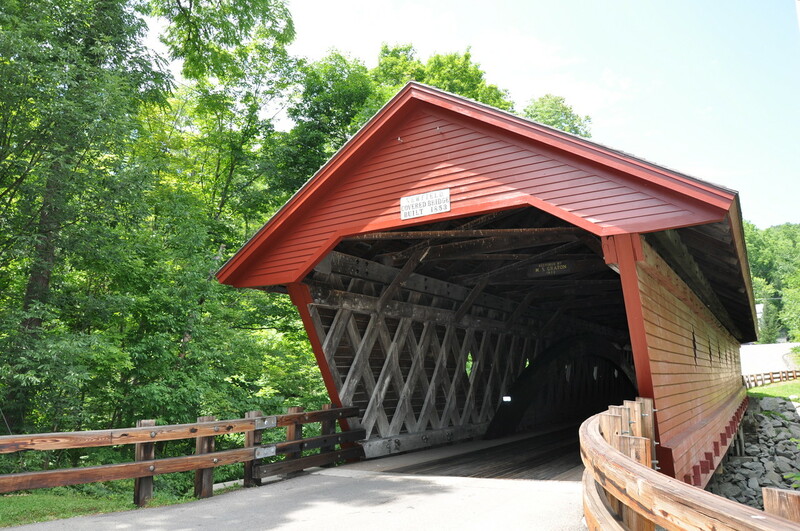 It has undergone floor repairs, re-shingling and two major rehabs, one in 1972 and the second in 1998. 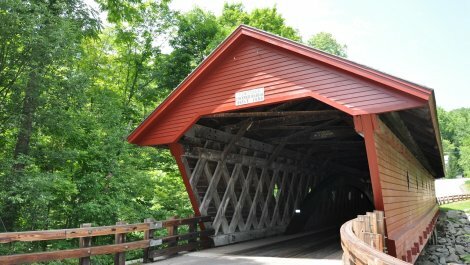 Sites Dates Hours: Open to public, 24/7.